Ptolemaios V was the fifth ruler of the Ptolemaic dynasty. He inherited the throne at the age of five, and under a series of regents, the kingdom was paralyzed. The Rosetta Stone was produced during his reign as an adult. Ptolemy V came of age in approximately 196 or 197 BC with a ceremony known as an anacleteria, which was described in Polybius' Histories. 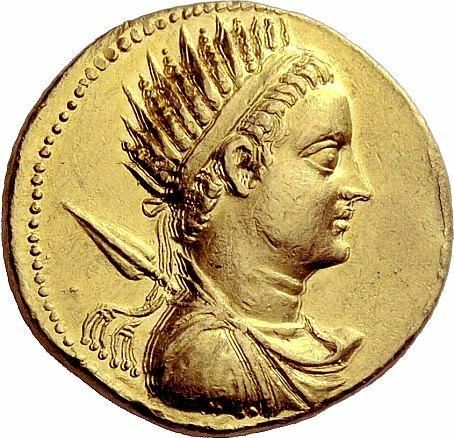 Polybius writes that Ptolemy's courtiers "thought that the kingdom would gain a certain degree of firmness and a fresh impulse towards prosperity, if it were known that the king had assumed the independent direction of the government." In manhood, Epiphanes was a passionate sportsman; he excelled in athletic exercises and the chase. He died suddenly, about May 180, leaving two sons and a daughter, with the Queen as their regent.